Giveaway is now closed. Thank you everyone for visiting and entering. It's that time of year when all the kiddos head back to school. The house is going to be so quiet. I love sleeping in and hanging out with them late into the night, but that's coming to an end in a few short days. A fat quarter bundle of yummy pink fabrics. There are 4 fat quarters in this bundle. 3 patterns, Indygo Junction's bunny, Talking Blocks and Simple Pleasures quilting patterns. This giveaway bundle is open to US visitors only. International visitors will win the pattern package. If an international visitor is drawn I will do a drawing for the fat quarters to giveaway to one visitor right here in the US. Become a follower and leave a comment below. How about tell me what you love about fall.That's it. Easy peasy. Giveaway will end Sept. 3rd at 10:00 pm PST. I will draw a winner shortly after via random.org. Love the pinks! Back to school has started here. When the kids were all home I used to love that Staples commercial where the Mom's and Dad's were pushing carts around singing 'its the most wonderful time of the year'! LOL Thanks for the fun giveaway! Pink is a color that is seriously lacking in my stash, so this would be a great prize for me! I am a follower of your blog. Thanks for the chance to win. I'm a follower from the UK! I love the crisp morning air. I'm a follower...thanks so much...love your stuff! I would love to add some pink fabric to my stash...right now there is one lonely FQ and it needs friends! I love fall for the cooler temperatures, fall foilage and football. Thanks for the chance at your giveaway. I'm a follower! And the best part of Autumn is the smell of burning leaves, combined with cooler weather! Thanks for the chance to win. I am a new follower in Google Reader. Great giveaway. I am a follower. I love the cooler temps and beautiful colors of fall. I love the nice cool weather that fall brings. The summers get really hot here in Alabama... I also like when the leaves turn red and orange, so pretty! I LOVE the fall because that means 'vacation time' in October...one full week of R&R. Wow, those pinks are just perfect - my Mom's favorite color! I am a follower. I also live in California, the Northern half, and enjoy the cooler weather and fall foliage. Thank you for the wonderful giveaway. I'm a new follower. I love the smell in the air and the leaves falling. Oh...and Sweet Potato Pie :) Love that pink fabric! I like the crisp air and the leaves changing in the mountain. Thanks for the chance to win. I'm a new follower. I am now a follower! I love the leaves changing in the Fall! Gorgeous fabrics - my niece loves pink. I'm a new follower. Love the warm days & crisp cool nights in the fall. Thanks for the chance to win. I love the pink fabrics. Thanks for the chance to win. I am now a happy follower. With fall coming that means I can decorate in my fall color of wall hanging. What I love about fall is the fact that the weather is getting cooler and the roses in my garden bloom beautifully. Thanks for the opportunity to win your generous giveaway. I love the colors and smells of fall. The reds, golds, oranges, ripe apples, falling leaves, bonfires. Hi, In the UK we have Autumn, what do I love about it? its cooler, the mountains turn a lovely purple colour with the heather flowering, the leaves turn so many different shades of orange, red and brown it's hard to keep up... whats not to like about it? Lovely giveaway! I love autumn, it's my favorite season! I love the colors and so much more. Thanks for a lovely giveaway! Love the smell of fresh apples in the fall. Hi. I am a new follower. I love that pink fabric Thanks for the chance to win. What I like about Fall is the cooler temps and the colors of the leaves as they change. I'm a follower. I love the change in the air, the milder temperature, the chance to be outside more, and the anticipation of approaching holidays. I'm a new follower! Yay! Love the pink fabrics....and the Bunny! Knoiw a Special lil' Grandgirlie that will love too! Love the colors & smells of Fall!! And kickin up the woodburner... drinkin cups of hot tea, and time for quilting/sewing! I like the changing leaves, and the briskness in the air! Hi! I just wiped out the pink in my stash this weekend. What a welcome this fq bundle would be. I follow your blog. What I love about fall is the colors the leaves turn, the crisp air and apple cider! I love the apple cider and changing leaves. I love all kinds of things about fall! The turning leaves, when they fall to the ground, the cooler air! I'm a follower! I love spending extra time in the garden in autumn/fall. G'Day from Australia! I'm a Michigan gal living in Queensland. I miss visiting the apple orchard in the fall for cider and donuts, as well as the beauty of the Fall colors. I am a new follower. I love the cooler weather in the fall and all those beautiful colors. I'm a new follower and I love the fall colors of the leaves. 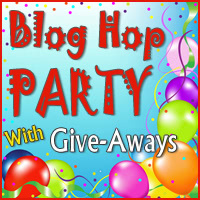 I'm a new follower who found you through the blog hop. Thanks for the opportunity to win your generous giveaway. I love many things about fall, but perhaps my favorite thing is to smell the nip in the air on pleasant fall evenings. I'm a new follower. I love the smell of crisp leaves in the fall. And pumpkin bread, pumpkin pie, pumpkin mousse, well, you get the idea. The best part of fall is pumpkin (and the weather). What lovely fabric...very nice giveaway. What I love about fall is the cooler weather...I hate to be hot! Great giveaway - thanks!!! I'm following your blog. Fall...I love being able to ride my horse all day without broiling or freezing!!! Great giveaway, love pink! I love thanksgiving and the turning of the trees! Thanks for the chance at the giveaway! Love the cooler weather and beautiful fall colors. The thing I love about fall is that I get to visit my best friend in Tennessee for a week. I love the fresh crisp air. And tehthought of starting a new class - I try to do pottery each fall as a night student. Anotehr creative outlet for me!! I am a new follower thanks for the giveaway I also liked your Facebook page. I am a new followers. The things I like most about fall are the beautiful colors, the crisp cool breezes, and the smell of Apple Pie. Fall is my favorite time of year, the leaves changing colors, the warm days, and harvesting my garden and picking fruit from our trees. I'm a new follower. Thanks for the chance to win. The cool weather arriving and the beautiful fall colors make me smile! Falling leaves, hot cocoa, comfy sweater time!! I'm your newest follower!! Love those pink fabrics! I'm a new follower. Love the fabric. Camping, the changing colours, bonfires and wood fires and the chance to sew quilts again because summer is too hot! I love the crimson leaves! Wonderful giveaway! I love the leaves following and the cooler weather, I'm a follower, thanks! Thank you for the chance to win these pretty pink fat quarters and patterns. I have started following you, I love it when the leaves start to change colors. I have become a new follower of yours. Crockpot cooking. So easy, don't feel quilty about spending time on the Internet. Thank you for joining in on the Blog Hop and your giveway of 4 FQ of pink fabric plus 3 patterns is going to make a lucky quilter very happy indeed. Pink is just so precious. I love the crisp cool air and bright blue sky! I'm a follower, thanks for the chance to win! :) I love the crunchy orange leaves and the cool nights in the fall. Love the bundle and patterns, thanks for participating in the hop! My favorite thing about Fall is football. Real women like football ... and sewing! I love it being dark at dinner time during the fall. It seems to say, time to wind down the day and relax. I signed up to follow this blog. I love the cool weather of fall! thanks for the beautiful giveaway! I love autumn because it means the end of a long hot summer in Florida! Cool weather is really a great thing. Love the changing colours of the leaves. Gorgeous colours! And thanks for the giveaway. Love these fabrics and the patterns look wonderful too. I love the cooler weather of fall, hate the hot weather. I look forward to the cooler evenings and warm afternoon sunshine. In the fall my hummingbirds come. I'm in the migratory path, so I'll get hundreds at a time! I love the cool weather, it means winter is coming! I love the cooler weather and the sense of holidays soon to come.